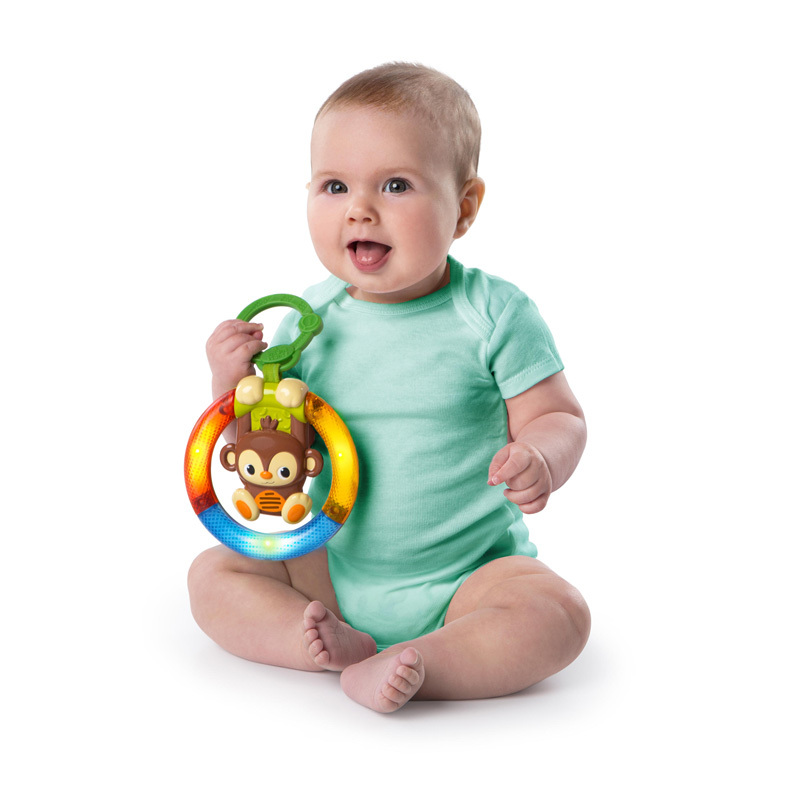 Fun Comes First!™ Baby triggers the lights & sounds of the Shake & Glow Monkey™ when baby “shakes up the fun”. 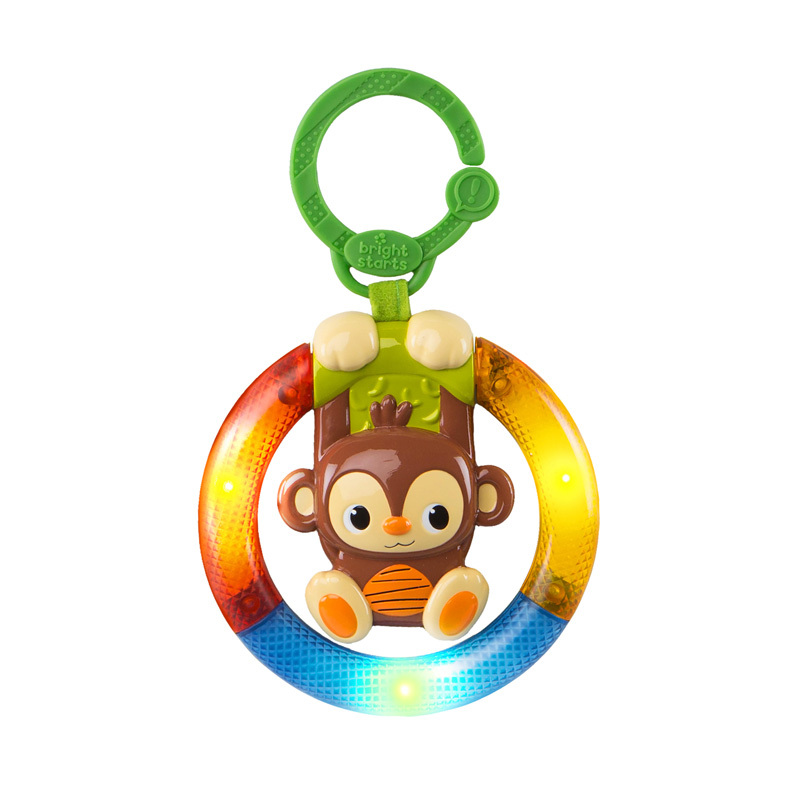 The monkey swings back and forth when baby bats. 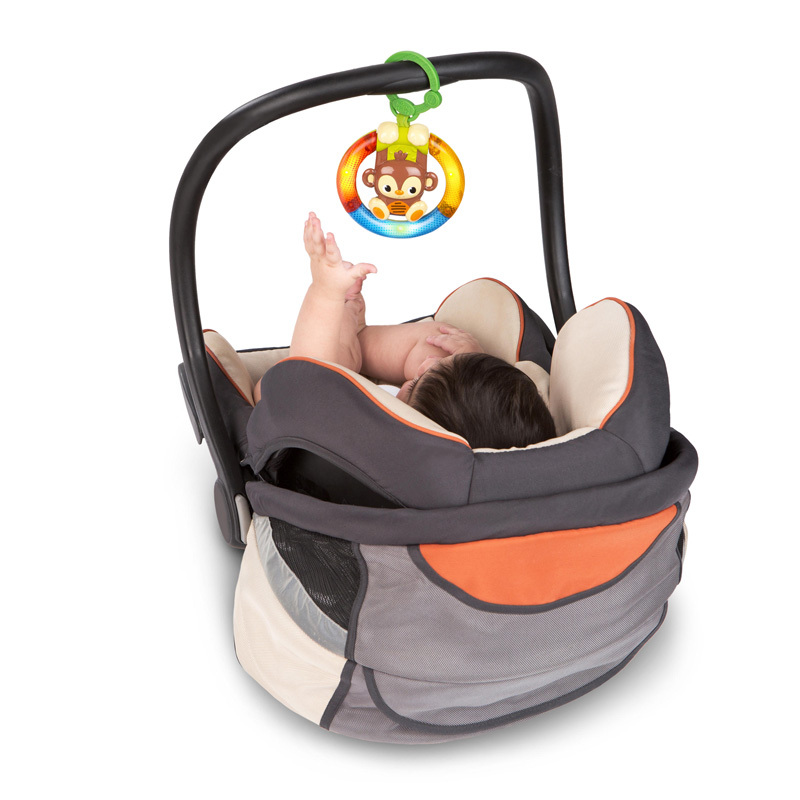 Introduces baby to cause and effect. 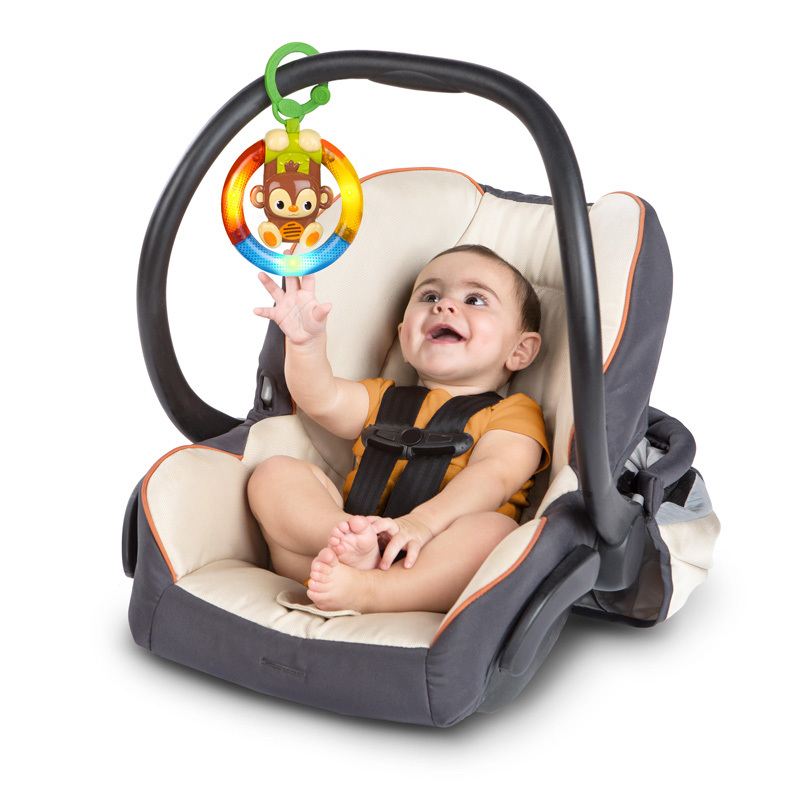 Lights and bright, fun colors on the easy to grasp toy support visual stimulation. 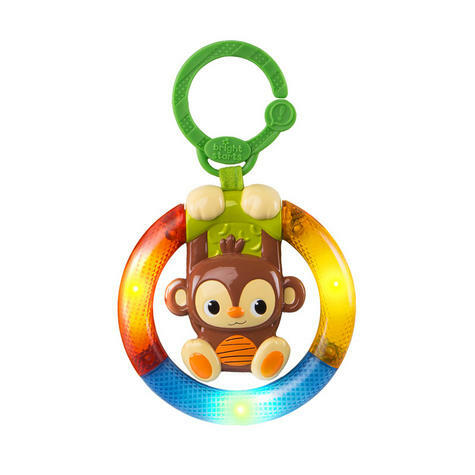 This take-along toy is perfect for on-the-go fun. Link attaches to most carriers, strollers, and Bright Starts™ products with links. 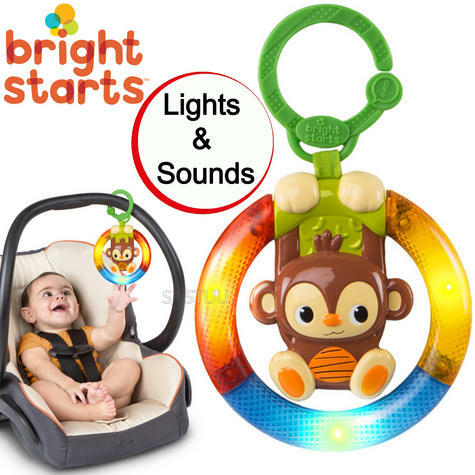 Recommended for babies 3 months and older.